On May 22, attorneys Michele M. Iafrate and A. Melvin McDonald filed a Motion for Recusal and Disqualification of District Court Judge G. Murray Snow because of revelations allegedly made by Snow’s wife regarding his apparent disdain toward Sheriff Joe Arpaio and his wishes to drive the sheriff from office. Those revelations came to light in an August 2013 conversation between Mrs. Snow and her childhood friend Karen Grissom. In that conversation, Mrs. Snow allegedly said her husband “hates” Sheriff Arpaio and “will do anything to get [him] out of office.” If true, such emotions and desires on the part of Judge Snow appear to be at odds with a truly neutral oversight of the contempt proceedings now underway against the Maricopa County Sheriff. The Motion for Recusal includes a copy of the Facebook post in which Grissom relayed Mrs. Snow’s words to Sheriff Arpaio after remaining quiet about them for some time. Judge Snow I know his wife and talked with her one day she recognized me from our childhood she told me that her husband hates u and will do anything to get u out of office. This has bothered me since last year when I saw her. The veracity of Grissom’s claim was investigated after it came to Sheriff Arpaio’s attention. The investigation found Grissom’s comments were “credible,” but Sheriff Arpaio pursued the matter no further. Nevertheless, while Sheriff Arpaio was on the stand, Judge Snow began to unexpectedly interrogate him as to whether the judge himself or any member of the judge’s family had been investigated. Judge Snow questioned Sheriff Arpaio regarding whether he was aware if Judge Snow or any of his family members had ever been investigated by anyone….In response, Sheriff Arpaio testified that he had received a communication in August 2013 from Karen Grissom regarding comments that Judge Snow’s spouse had made to her in a restaurant about Judge Snow’s hatred for Sheriff Arpaio and his desire to do anything to get Sheriff Arpaio out of office….It was ultimately revealed that a private investigator hired by the Sheriff’s counsel had interviewed three individuals: Karen Grissom, her husband Dale Grissom, and their adult son Scott Grissom, regarding the reliability of Mrs. Grissom’s report. In the motion, Arpaio’s attorneys point out that from August 2013 to May 22, 2015—the time Grissom spoke with Judge Snow’s wife until the time the Motion for Recusal was filed—”neither Judge Snow nor Mrs. Snow have denied that Mrs. 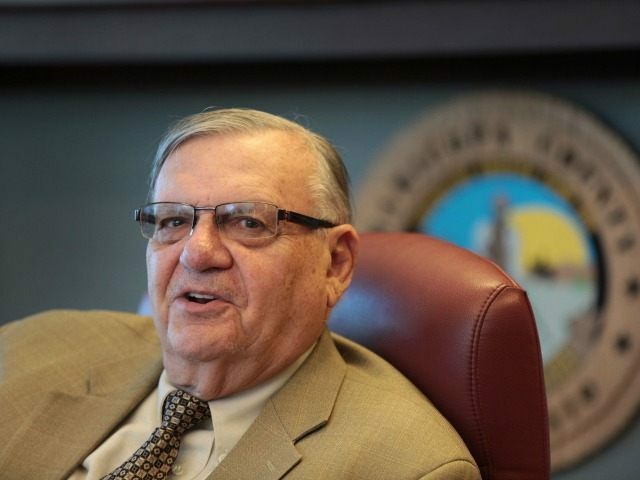 Snow made the statements attributed to her.” So, if these statements were made and do indeed express the feelings and intentions of Judge Snow toward Sheriff Arpaio, impartiality is gone.